agents that look more promising. While no markedly effective therapies have been identified for treatment of established CIPN, the group continues to explore new and promising agents. This work has included the study of the value of using an electrocutaneous nerve stimulation device, called MC-5A Calmare®, also known as “scrambler therapy.” The MC5-A Calmare® device provides cutaneous electrostimulation by simulating nerve action potentials and directly stimulating peripheral nerves. RATIONALE: Scrambler therapy may help relieve pain from peripheral neuropathy caused by chemotherapy. PURPOSE: This phase II trial is studying how well MC5-A scrambler therapy works in reducing peripheral neuropathy caused by chemotherapy. Are there any trials open now going on anywhere in the US for CIPN and Scramble therapy? Thirty to 40% of all chemotherapy patients experience chemo-induced peripheral neuropathy. To our knowledge, the most recent CIPN trial using scrambler therapy occurred at the Mayo Clinic, performed by Dr. Loprinzi. We did not see recent activity on this trial over the past few years, but know he and his group experienced positive outcomes. Please keep in mind scrambler therapy is a ‘provider-dependent treatment.’ In other words, the patient is dependent on the skill and expertise of the doctor using the technology. Feel free to call us directly if we can offer more information. I live in fl a ormond beach. I do not see anything on the success rate of Calmare treatment for Post Herpetic Neuralgia. Where can I find this information? Thank you for your message Mr. Malkin. We have passed on your query to Dr. Michael Cooney. He will be in touch with you directly. Pending her availability, we also have a PHN patient who underwent Calmare Therapy for her advanced Shingles condition and can talk with you directly via our Patient-to-Patient program. Thank you. Thanks for your response. I have wonderful news to share. 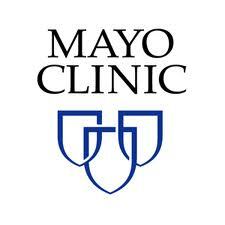 I had an appt with Director of “Spine center” at Mayo regarding Clinical Calmare trails for RSD/CRPS. They had decided to do them in three areas. Continue trail for chemo pts who develop neuropathic pain. Then one for chronic pain from Spinal conditions and lastly one for chronic pain assoc with RSD. He selected me to participate in that trail. So happy about this. He said they have to train more staff in the use of the Scrambler machine and treatments are 30 minutes for 10 days. What and advancement this will be for all the RSD sufferers in the States surrounding MN. I will keep you informed as to how it goes. I want to know if there are any Clinical trials being done using Calmare therapy for Chronic Pain associated with RSD/CRPS? I am very interested in being a trial candidate. Thankyou. That’s a great question. To my knowledge, there are no MC-5A Calmare scrambler therapy studies in progress for RSD / CRPS patients (yet!). As you know from our website, we have seen outstanding outcomes with the CRPS / RSD / RND patients we have treated since 2011. I’d be happy to share my insight with you. Feel free to call my office anytime. Should any studies become available, I will be happy to let you know.